Welcome to the Makeup Bundle Giveaway hosted by MyStyleSpot, Chatty Patty's Place and The Review Wire! We are excited to be bringing you an assortment of great products from some of our favorite brands! 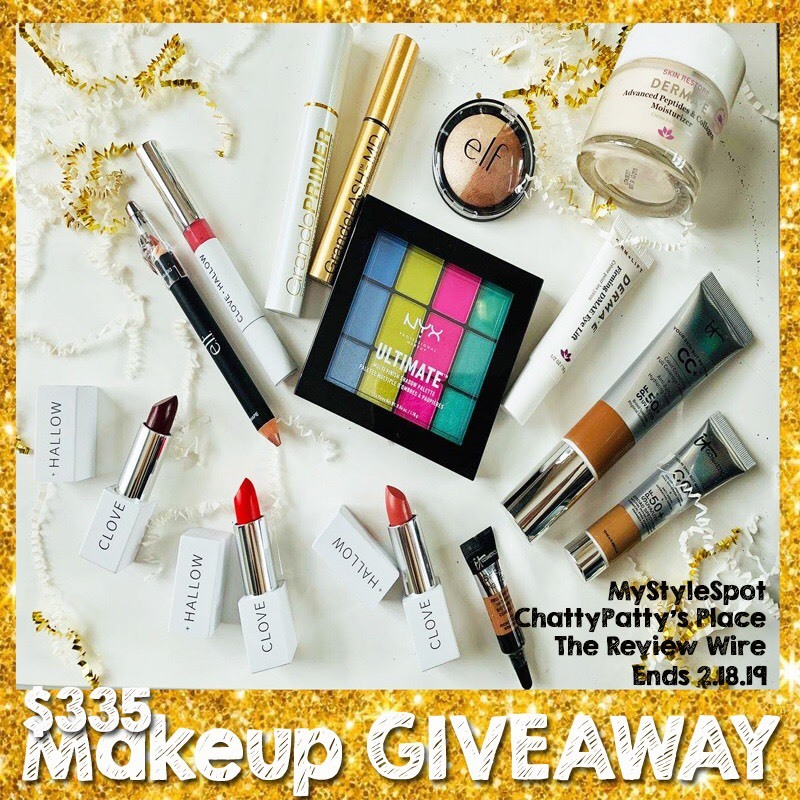 Enter to win this fabulous bundle! I have a lipgloss addiction myself. It Cosmetics Bye Bye Under Eye Concealer. Wow! I just love makeup! I would just love to say Bye, Bye to my under eye bags. I really love the NYX PROFESSIONAL MAKEUP Ultimate Multi-Finish Shadow Palette, Sugar High! I am excited to try Grande Lash Primer Pre-Mascara $25. I need a new mascara. I'm really excited about the NYX palette. It Cosmetics Bye Bye Under Eye Concealer in Deep sounds amazing to use. I cant wait to try the bye Bye concealer! Ive never used any concealer!